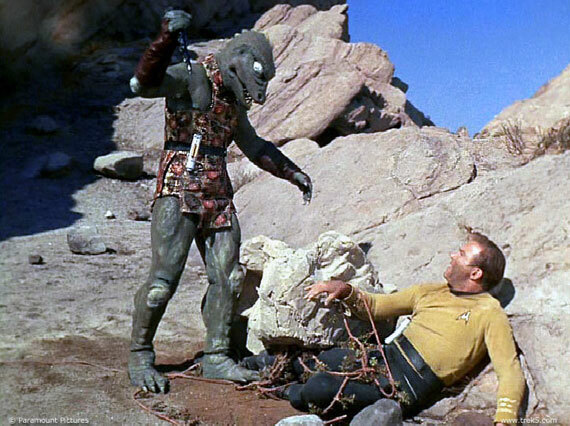 If you watch Star Trek then chances are high that you've seen Vasquez Rocks. You may not know it, but it's been in the background of memorable scenes from The Original Series, The Next Generation (for my favorite episode, "Darmok"), Voyager, Enterprise, and even the 2009 film. It's dramatic rocks and backgrounds are irresistible and a long list of television shows and movies have been filmed there. 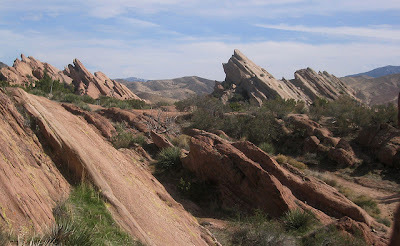 The proximity of the natural area to Los Angeles helps; it's just an hour or so drive north of the city in Agua Dulce. 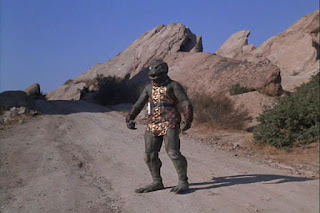 It's one of those set locations that is completely satisfying to visit because you can easily and quickly spot the exact places where Kirk fought the Gorn. Taking reference photos will help of course, but this isn't a place where you need GPS coordinates to know where you are. I love that. You pull in, drive slowly down a dirt road, and bam. It's like you're on another planet. The jutting rocks at crazy angles look otherworldly. I'd love to have been there the first time a location scout discovered this area. It had to feel like striking gold. It's only an accident that this landscape exists. The bizarre formations were pushed from the ground by the San Andreas fault. It made a fantastic place to hide out, and bandits took advantage of that. The park gets its name from one of those bandits, but its much more well known for its on screen appearances. 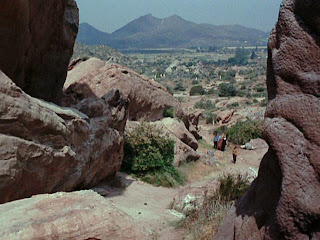 I confess that when I visited I was certainly much more excited about being at a place where multiple Star Trek stories had been filmed and not so much worried about the history. You can see by the profile of the rocks that it's the same place. And finding those places? It's very exciting. I bet it's a lot like finding treasure with a metal detector; it's just that I've never done that and can't make a fair comparison. It's probably a happy feeling, and that's what this is. To stand in the same spot where something you adore was filmed decades ago? Captain Kirk was there for goodness sake. The fact that it's even still there, that some (many) environments stand the test of time and humanity is impressive and definitely gives you the feeling of being oh so small. I unfortunately couldn't find a solid trail map, but once you enter the park, follow the dirt road and keep heading towards the right and you'll dead end into a dirt parking area. Park, turn around and face the entrance, and you'll start recognizing locations. 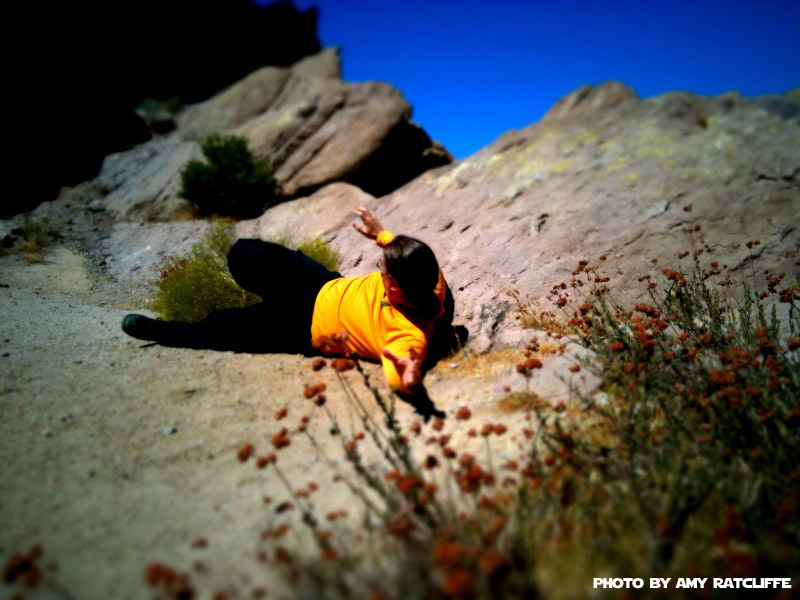 If you're in the Los Angeles area and you're a Star Trek fan, try to carve out time to visit. You can make the drive and park to take a few photos - you can get to the iconic spots by just taking a few steps from the car - or make a day of it and hike around the area. It's beautiful country. Don't be surprised if you see a few Trek cosplayers getting their photos taken! Vasquez Rocks is open year round and does not have an admission or parking fee. More information on the park here. Great article. I'll definitely put it on my list of places to visit. I second that, Mr. Cohran! It's definitely breathtaking scenery, and even though I glossed over the history, lots of bandits and interesting folk made homes in the rocks. This is one of my favorite places in SoCal. 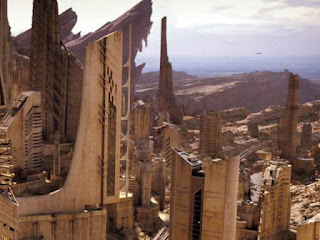 I came here a lot with my dad growing up but as a Star Wars fan, I pretended it was the dune sea of Tattooine. 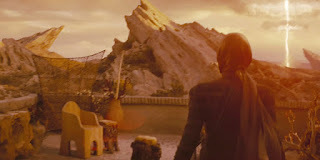 But I've expanded my geek horizons over the year and running around the Rocks in a Starfleet uniform sounds like an excellent idea. If you go even farther north you get to Lone Pine, a town next to the improbably-named Alabama Hills, which is where a great many other movies were shot (starting in silent-film era and up through Iron Man at least). A lot of those movies also have serious geek interest, and a bunch of props and costumes are in the nearby movie museum. The museum's cheap, and there's no usage fee for the hills. Highly recommended. It makes for a great stop on a road trip through some of the most surreal of California landscapes, too! Oh, and speaking of geeky locales, much farther south in Whittier is Rose Hills Memorial Park, housing Skyrose Chapel. I sang at a funeral there a few years ago, and afterward discovered that its very cool architecture was used for various locations on Vulcan. Right? The 395 is my favorite road in California, possibly my favorite road ever. And thanks for the heads-up on the chapel. It looks beautiful! Absolutely, the 395 pretty much rocks! Always happy to spread the word on fun places! Hmm, geektastic road trips... it's got potential as a concept. Well written. I suppose you might also want to find out how to spy on someones facebook.